The first step in the 3D printing process is to create your model or convert your idea to a 3D printable document using a 3D software. While all 3D printers accept STL (Stereo Lithograph) file format, other 3D printers support other formats such as OBJ and DAE. There are many 3D software in the market that support the above formats. But the price of most of these applications is very expensive especially when you are a beginner in the field of 3D printing. If the price is a barrier for you to learn, you can go to the other free software route. There are number of free 3D software tools that you can use to create model for 3D printing. Although, it is not comparable to the expensive software, some open-source tools are very good and do the job pretty well. Before choosing the 3D software, you need to consider the type of projects need to be done. Some 3D applications are more suitable in industrial an product design, while others are more suitable for artistic use. Now, the question is what are the free 3D printing software that can be used for modeling? The below list includes free software for 3D printing that allows you to create the model and save it in any of the 3D printing supported formats. Make sure to review each software and its features before downloading. Also, it is helpful to check the application gallery or sample projects to learn more about the 3D software capabilities and focus projects. The software list below is a subject of change and update based on each 3D software publisher’s policy. I will try to make this list up-to-date, but you need to check each 3D software website for more recent updates if necessary. Also, the prices listed below each 3D software is added in the time of writing this article and a matter for change as well. After checking the below free 3D printing software list, you like to check these 5 Affordable 3D Printers to Buy. Google SketchUp is one of the common free 3D software known by its usable interface and easy to use. It gives you the ability to create 3D models for different purposes such as 3D printing and Google Maps. Google provides two versions of the 3D software, Google SketchUp Make and Google SketchUp Pro. the first one is suitable for secondary education and free to use for educational purposes. The SketchUp Pro is recommended for higher education and professional use, and it is available for education usage with a discount. The price for the Google SketchUp Pro starts at US $590. 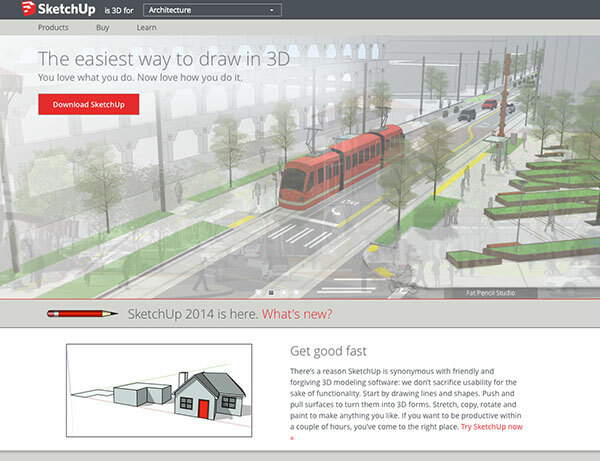 Google SketchUp is available for both Windows and Mac. 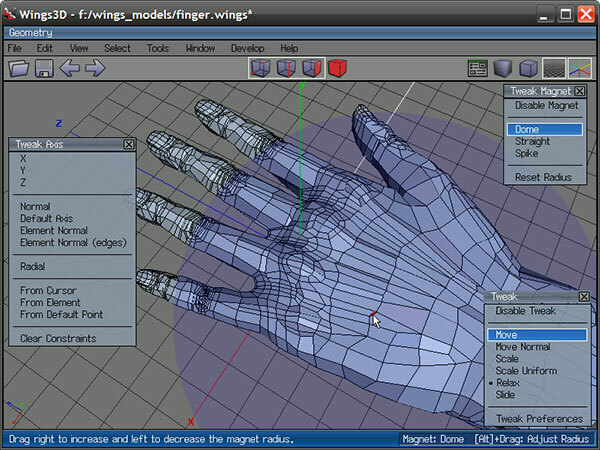 Blender is a very commonly used 3D software for both modeling and animation. Although it is a free open-source application, its interface and functions imitate the features in expensive software. 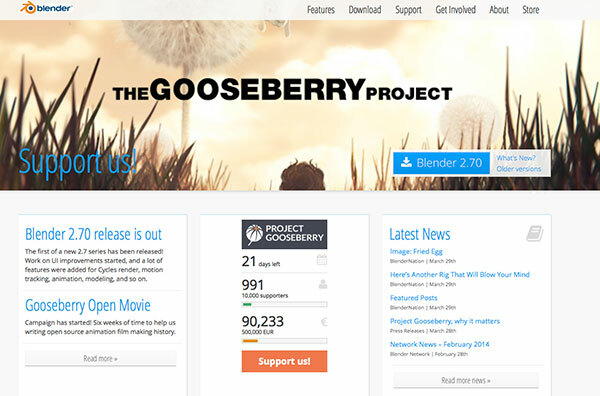 Blender team always provides updates with new features and enhancements to the 3D software. The concern I faced while working with Blender is the different usage of mouse clicks and keyboard shortcuts. For example, in order to delete a 3D model, I had to right-click the model, press X key in the keyword, and then click delete from the context menu. The good thing about Blender is that you will find many articles and video tutorials to learn how to use in professional projects. 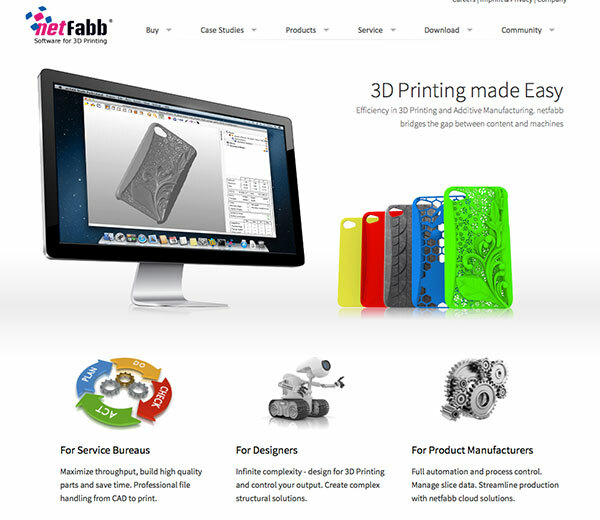 Netfabb is another free 3D software that you can use in modeling and 3D printing. There are two versions of the software; the NetFabb Basic and NetFabb Professional. The Basic version is free to use and full function. The difference between it and the Professional one is the number of available features as the paid version includes much more features than the free one. NetFabb is available for both Windows and mac and the professional version costs around US $1,799. 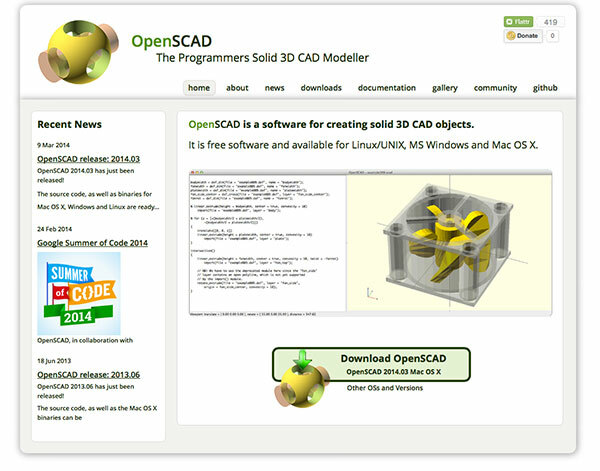 OpenSCAD is an open-source software to create 3D CAD models. This 3D software is focusing more on the CAD and industrial features more than the artistic features, which make it more suitable for the industrial and architecture design. The application is widely supporting Windows, Mac, and Linux/Unix. The modeling in OpenSCAD depends on constructing 3D geometries and extruding 2D lines into 3D models. 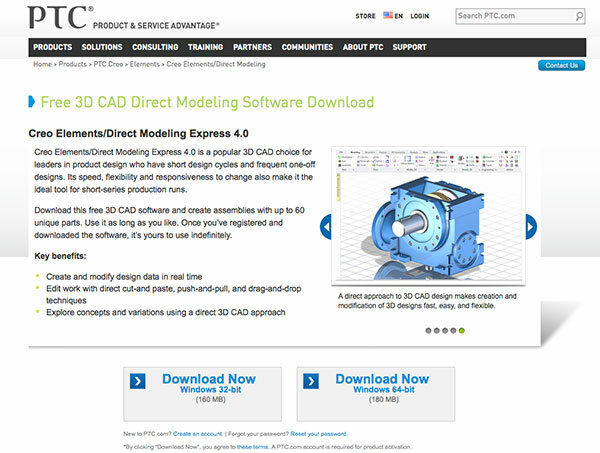 Creo Elements or Direct Modeling Express is an open-source modeling software that is focusing on product design with short design cycles. This software is depending on 3D ACD concepts and design approach. It supports Windows only and you can download for both 32-it and 64-bit Windows versions. BRL-CAD is an open-source 3D software with more than 20 years of development. It allows you to create models using interactive geometry editing and supports high-performance ray-tracing for rendering. BRL-CAD also includes signal-processing an system performance analysis. It supports different operation systems such as Windows, Mac, and Linux. Wings 3D provides wind range of modeling features and tools. it also provides easy to use and customized interface and supports lights, materials, and built-in AutoUV mapping. 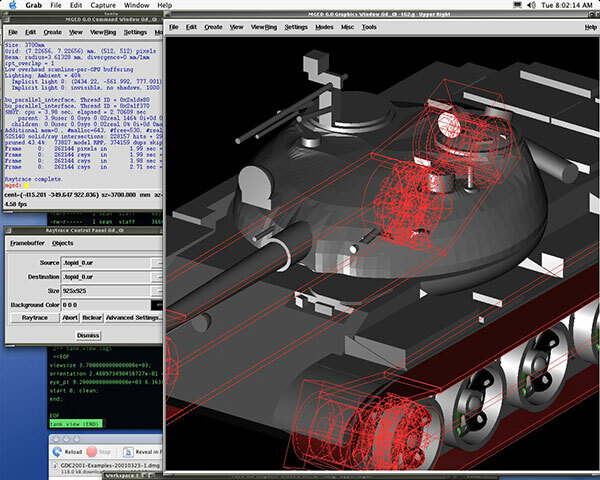 The Wings 3D is written in Erlang as an open-source application and can be downloaded for Windows, Mac, and Linux. The list is definetly missing FreeCAD, which is also a great and greatly developing free CAD software. Its devs also have 3D printing in mind, so it’s worth checking it out.